Pre-heat a large frying pan to medium heat. Add the butter and once melted add the garlic. Sauté the garlic for 1 minute, then add the green chillis and cumin. Stir and sauté for 1 minute. Stir in the black beans and 45 ml water. Salt and pepper to taste. Sauté for 6-8 minutes, stirring occasionally. Then remove from heat. Meanwhile, in small bowl, mix: mango, red onion and coriander. Sprinkle with salt and pepper and stir around. 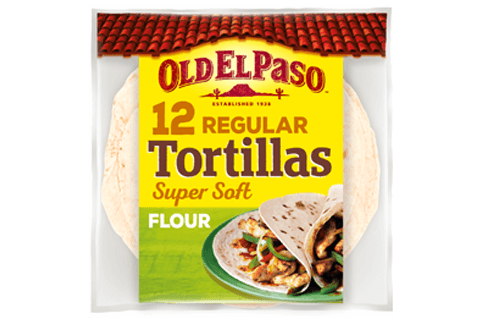 Heat tortillas as directed on package. Spoon the warm black beans mixture into the tortillas. 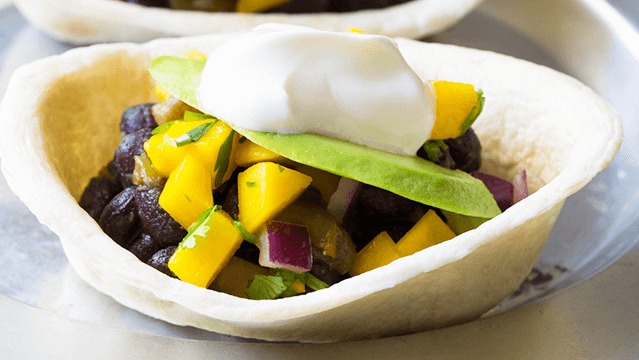 Add the mango salsa over the top and place one slice of avocado in each little tortilla. Then spoon a little soured cream on each taco and enjoy.